Use all your wits and skills to make allies, challenge invaders, and make your way back to the lands of the living in the first volume, The Dead Roads. 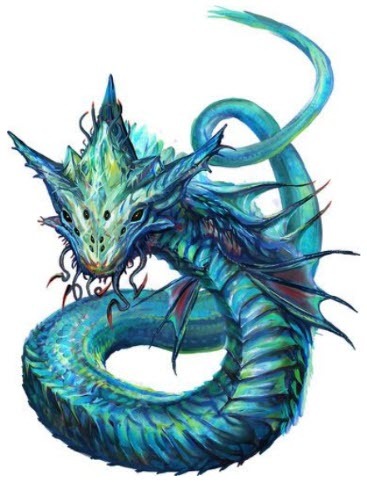 REDMOND, WASHINGTON (April 22, 2019): Paizo Inc. has released two of six exciting volumes of the Tyrant’s Grasp Adventure Path for the first edition of the Pathfinder Roleplaying Game. Volume one, The Dead Roads, and the second volume, Eulogy for Roslar’s Coffer, are both available for purchase at paizo.com and retailers worldwide at an MSRP of $24.99 for softcover. This survival horror campaign takes heroic players through both the afterlife and the mortal realm to stand against one of the most ancient threats ever to loom over the world. The heroes awaken already defeated—slain by a super-weapon unlike anything seen before. They must fight their way back to the land of the living and warn the rest of the land of this new threat. The Dead Roads contains a first edition Pathfinder adventure for 1st-level characters. Additional material includes tips, tools, and tricks drawn from the Boneyard, an exploration of races inevitably linked to death, an extensive timeline of the events, and a bestiary of monsters drawn from the lands and lore of the dead. Author of The Dead Roads, Ron Lundeen, recalls: “My favorite part of this adventure was building it in multiple parts, like a Netflix miniseries, with the players able to decide what order they tackle the middle pieces in. I wanted to make the middle pieces as different from each other as possible within the ‘horror movie’ theme of the entire adventure, so they range from disturbing whimsy to space-warping nightmares. The adventures continue with a new volume every month for a total of six months. Volume three, Last Watch, can be preordered today and purchased starting April 24. The Tyrant’s Grasp Poster Map Folio and the fourth volume, Gardens of Gallowspire, can both be preordered today and purchased starting May 29. The free downloadable Tyrant’s Grasp Player’s Guide is available now is gives players all the spoiler-free background, information, and inspiration they’ll need to create characters ready to hit the ground running. Explore the Pathfinder Roleplaying Game Tyrants Grasp Adventure Path at paizo.com/tyrantsgrasp. Paizo Inc. is one of the world’s leading hobby game publishers. Since 2002, millions of players have joined the goblin army by playing the Pathfinder® and Starfinder® roleplaying games across tabletops, at conventions, at their favorite local game store, and digitally on virtual tabletops. Paizo.com is an online retail hobby destination for gamers that carries the latest products from top hobby game publishers. Players also find accessories, like dice and maps, miniatures, T-shirts, goblin plush toys, and the newest releases to quickly replenish those adventuring supplies for the next dungeon run. This week, Gen Con President David Hoppe joined a select group of industry professionals invited to present at the Washington State Senate’s first-ever work session focused on the tabletop gaming industry. The work session was designed to inform Senate members about tabletop gaming’s impact on the Washington state economy and included representatives from Wizards of the Coast, Paizo, Loan Shark Games, and Green Ronin Publishing. The committee, which included Washington Senators Mark Mullet and Steve Hobbs, heard about each company’s experience in starting and developing their business during a series of panels Tuesday morning on the Capitol’s campus. The information and experience shared were invaluable in educating the state legislature on the tabletop gaming industry and community in Washington. An alien starship, a psychic disturbance, and a bubble-city in the sun’s atmosphere await heroic players in the first volume, Fire Starters. 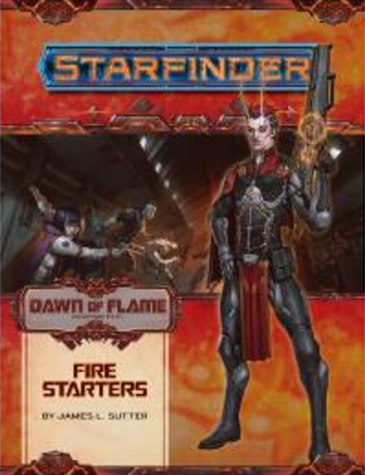 REDMOND, WASHINGTON (March 15, 2019): Paizo Inc. has released Fire Starters, the first volume in the Dawn of Flame Adventure Path for the smash hit Starfinder Roleplaying Game. The 64-page volume, written by James L. Sutter, is the first of six adventures in a science fantasy campaign set in the Pact World’s sun. It is available for purchase at paizo.com and retailers worldwide at an MSRP of $22.99 for softcover. “Dawn of Flame sees the heroes peeling back the layers of a story about a mysterious force operating within the Pact Worlds’ sun while diving through the layers of the star itself. The narrative starts outside the sun, moves into events in a city in the star’s upper atmosphere, and leads to the heroes traveling into the sun’s depths. If flying a starship deep into stellar plasma to explore places few mortals have seen isn’t science fantasy, I don’t know what is,” said Chris Sims, lead developer for the Dawn of Flame Adventure Path. Fire Starters contains a Starfinder adventure for 1st-level characters. Additional material includes an alien enclave within the star, a look at the sun goddess and her worshippers, an archive of extraplanar threats, deck plans and statistics for a vessel that patrols near the sun, and a look at a beautiful resort planet with ties to the Plane of Water. The adventures continue with a new volume every month for six months. Soldiers of Brass (Dawn of Flame 2 of 6) will be released in late March. Explore the Starfinder Roleplaying Game at paizo.com/starfinder. Paizo Inc. is one of the world’s leading hobby game publishers. Since 2002, millions of players have joined the goblin army by playing the Pathfinder® and Starfinder® Roleplaying Games in homes, at conventions, at their favorite local game stores, and digitally on virtual tabletops. Paizo.com is an online retail hobby destination for millions of gamers that carries the latest products from top hobby game publishers. Players can also find the newest releases, as well as accessories like dice and maps, miniatures, T-shirts, and goblin plush toys, to quickly replenish their adventuring supplies for the next dungeon run. PRESS RELEASE – PATHFINDER SECOND EDITION UNVEILED! Preorder the trove of new releases at your favorite local game store or PathfinderSecondEdition.com. 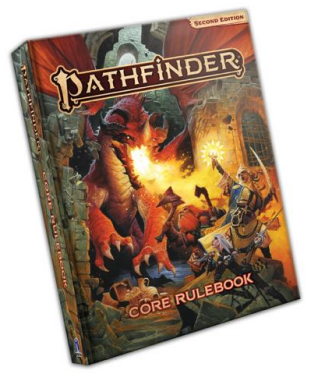 REDMOND, WASHINGTON (March 6, 2019): After years of development and feedback from more than 125,000 players, Paizo Inc. has announced the August 1 launch of the second edition of the Pathfinder Roleplaying Game! PathfinderSecondEdition.com showcases the full slate of launch titles, including the Core Rulebook, Bestiary, Lost Omens World Guide, the standalone adventure The Fall of Plaguestone, and the first of the new-six volume Age of Ashes Pathfinder Adventure Path: Hellknight Hill. It also presents the all-new Pathfinder Flip-Mat: The Fall of Plaguestone, Character Sheet Pack, GM Screen, Combat Pad, and Condition Card Deck Pathfinder accessories. A full description of all Pathfinder Second Edition launch products can be found at PathfinderSecondEdition.com. Paizo will reveal the September lineup in a few weeks, so make sure to bookmark the site. Follow their live Twitch streams at twitch.tv/officialpaizo.com for the latest news. Paizo Inc. is one of the world’s leading hobby game publishers. Since 2002, millions of players have joined the goblin army by playing the Pathfinder® and Starfinder® roleplaying games across tabletops, at conventions, at their favorite local game stores, and digitally on virtual tabletops. Paizo.com is an online retail hobby destination for millions of gamers that carries the latest products from top hobby game publishers. Players can also find the newest releases, as well as accessories like dice and maps, miniatures, T-shirts, and goblin plush toys, to quickly replenish their adventuring supplies for the next dungeon run. ©2018, Paizo and the Paizo golem logo are registered trademarks of Paizo Inc.
REDMOND, WASHINGTON (December 12, 2018): Join Paizo at the DoubleTree by Hilton hotel in SeaTac, WA over Memorial Day weekend (May 24–27). Meet your favorite Paizo designers, developers, editors, artists, authors, and more for 4 days of amazing gaming, workshops, behind-the-scenes looks, and an entire ballroom filled with Pathfinder and Starfinder Society organized play tables. PaizoCon 2019 also heralds the relaunch of the Pathfinder Adventure Card Game, plus its latest Adventure Path, Curse of the Crimson Throne. The Starfinder team will also have some secrets to share, and Paizo will definitely have some Pathfinder Second Edition reveals. The Guests of Honor are Liane Merciel and Wayne Reynolds, with special guests The Glass Cannon Podcast. PaizoCon Preview Banquet Tickets are $45.00 and include an exclusive commemorative item available only to attendees at the Preview Banquet and through auctions or prizes at select charity events. Learn more and register at PaizoCon.com. 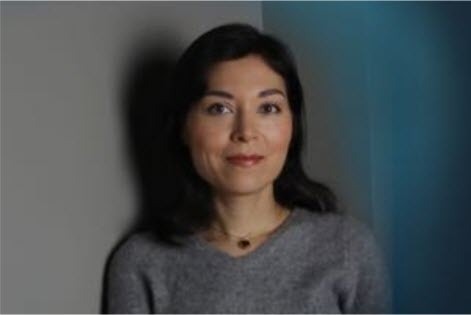 Liane Merciel is the author of critically acclaimed novels including The River Kings’ Road, Dragon Age: Last Flight, and Pathfinder Tales: Hellknight. She has also contributed to game materials such as Paizo’s Nidal: Land of Shadows, Faiths of Golarion, and other forthcoming releases. Liane lives in Philadelphia with two unruly mutts, her husband, and an extremely funny adventure toddler. Wayne Reynolds is a freelance illustrator with over 20 years of experience contributing artwork to the publishing industry. His work has appeared in roleplaying games, collectable card games, board games, and miniature designs. He has contributed cover art and internal illustrations for comics, novels, and historical reference books. Reynolds defined the look and feel of the Pathfinder Roleplaying Game’s iconic characters, setting the gold standard for all of the art to follow. 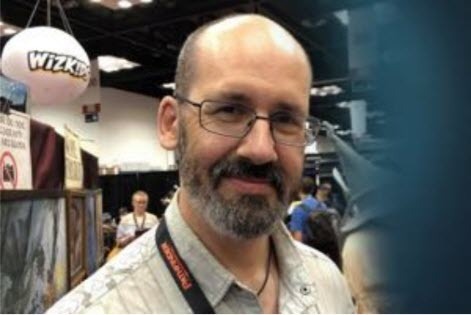 His superlative work has graced the covers of the Pathfinder Roleplaying Game Beginner Boxand numerous volumes of Pathfinder Adventure Path, as well as the Pathfinder RPG Core Rulebook and every Pathfinder hardcover Paizo has produced since. Wayne continues to work with Paizo’s designers to reveal never-before-seen corners of Golarion, while his own in-depth knowledge of historic weapons, armor, and fighting styles brings the most exciting elements of the Pathfinder RPG to life. Following the rules of the Pathfinder and Starfinder RPGs, The Glass Cannon Network endeavors to create weekly captivating epic fantasy stories accessible to gamers and non-gamers alike. Interweaving immersive storytelling with irreverent, improvised humor, the GM and players deliver the experience of what it’s really like to sit around a table rolling dice with your closest friends. Professional high-quality audio, complex and memorable three-dimensional characters, instructional elements designed to enlighten both new and veteran players, and a commitment to community-building among fans all combine to make The Glass Cannon an exciting and innovative voice in podcasting. Paizo Inc. is one of the world’s leading hobby game publishers. Since 2002, millions of players have joined the goblin army by playing the Pathfinder® and Starfinder® Roleplaying Games across tabletops, at conventions, at their favorite local game store, and digitally on virtual tabletops. Paizo.com is an online retail hobby destination for millions of gamers that carries the latest products from top hobby game publishers. Players also find accessories, like dice and maps, miniatures, T-shirts, goblin plush toys, and the newest releases, to quickly replenish those adventuring supplies for the next dungeon run. REDMOND, WASHINGTON (December 6, 2018): Paizo Inc. and the Glass Cannon Network are pleased to announce that their licensing partnership has been extended another three years. This includes both The Glass Cannon podcast for the Pathfinder Roleplaying Game and Androids & Aliens for the Starfinder Roleplaying Game. “Our whole enterprise began out of a love bordering on obsession for Pathfinder and the adventures that Paizo puts out. We are thrilled to be extending this partnership at an exciting time in the industry as tabletop RPGs continue to explode into the mainstream and technology allows people worldwide to take part in a shared gaming experience with us on an almost daily basis,” said Troy Lavallee, CEO of The Glass Cannon Network. The Glass Cannon Network includes The Glass Cannon Podcast, Raiders of the Lost Continent and their Glass Cannon Live! Tour where they play the Pathfinder Roleplaying Game Adventure Paths Giantslayer, Ruins of Azlant, and Strange Aeons as well as Androids & Aliens, their Starfinder Roleplaying Game Dead Suns podcast. The Glass Cannon Network Patreon page at http://www.patreon.com/glasscannon allows subscribers to unlock goals for the future and reap exclusive rewards, including episodes of the Raiders of the Lost Continent. Learn more and find links to Glass Cannon Network podcasts, blogs, events, and store pages at https://glasscannonpodcast.com. They recently signed with Paradigm Talent Agency to represent them as they embark on a cross-country tour. 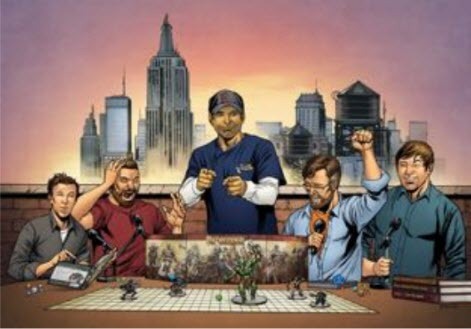 Joining a client roster that includes A-List acts such as Coldplay, Imagine Dragons and Ed Sheeran, the New York-based podcast company is ready to bring their unique brand of live role-playing game entertainment to cities all around the US. After kicking off their tour with a sold-out show in Los Angeles this October, dates will soon be announced for stops in Portland, Chicago, Dallas, Seattle and more in 2019.
the biohacker, the witchwarper, and the vanguard! 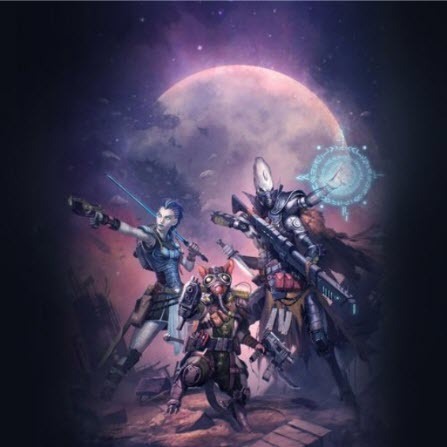 REDMOND, WASHINGTON (December 3, 2018): Today, Paizo Inc. launched the worldwide Character Operations Manual playtest of new playable character classes for the Starfinder Roleplaying Game. Players are invited to go to StarfinderPlaytest.com, download the free Character Operations Manual Playtest PDF, roll up some characters, and run them through their paces! “This is our first opportunity to add new classes to Starfinder since the game’s release in August 2017, and we need your help to do it! Try out these new classes in Starfinder Society scenarios, Starfinder Adventure Paths, or your own adventures. Then tell us what you and your friends thought of the experience. Paizo needs your feedback to make the classes in the Character Operations Manual the best they can be,” said Starfinder Creative Director Robert G. McCreary. 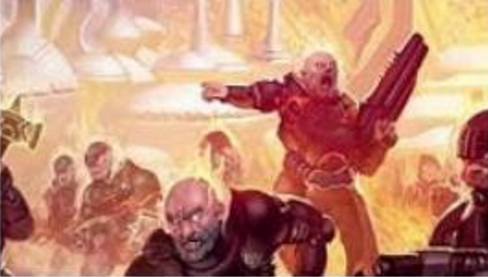 This playtest focuses on three new classes for the upcoming Starfinder Character Operations Manual, a sourcebook full of new character options that is scheduled to release in late 2019. First up is the biohacker, a brilliant super-scientist who analyzes their enemies and creates injections that can help allies or hinder foes. Biohackers specialize in scientific fields of study and utilize a scientific method that is either studious and methodical, or instinctive and improvisational—the hallmarks of any good mad scientist! Next is the vanguard, a martial character who excels in melee fighting and channels the entropic forces of the universe to manipulate their surroundings, bolster themselves and their allies, and power their devastating unarmed strikes. Finally, Paizo presents the witchwarper. This Charisma-based spellcaster pulls from alternate realities to power their magic and alters the environment and even nearby creatures to the witchwarper’s advantage. This playtest is a chance to get a look at early versions of these classes and have a hand in their development before they hit shelves next year! The playtest will run until January 16, 2019. Feedback surveys on StarfinderPlaytest.com will be open throughout the playtest. There are plenty of ways to participate in the playtest. Starfinder Society organized play will also open up the playtest classes via the use of custom created characters that operate much like pregenerated characters during the playtest. Players can engage with other players and designers on the Character Operations Manual Playtest forums, discussing the new classes and possibilities for the future. While Paizo wants to focus on actual play feedback, they are interested in hearing all ideas about the classes. Players can also join Paizo on their Twitch channel at twitch.tv/officialpaizo. They host a live Starfinder stream every Wednesday at 4:00 p.m. PST, where they talk about all things Starfinder—including the Character Operations Manual Playtest! Videos from that stream are archived on Paizo’s YouTube channel at youtube.com/PaizoInc. Set thousands of years in Pathfinder’s future, Starfinder is a science fantasy roleplaying game designed to bring you a whole new universe of adventure. The world of Starfinder puts you and your friends in the role of a ragtag starship crew exploring the mysteries of a strange and exciting universe. Play alien races both new and familiar as you explore the mysteries of a weird galaxy. Uncountable worlds are waiting for you and your intrepid crew! 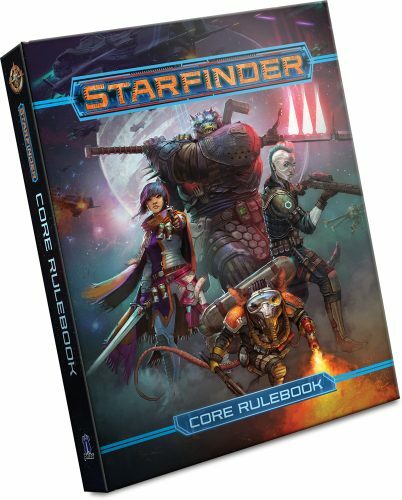 Explore the Starfinder Roleplaying Game at paizo.com/starfinder. Paizo Inc. is one of the world’s leading hobby game publishers. Since 2002, millions of players have joined the goblin army by playing the Pathfinder® and Starfinder® Roleplaying Games in homes, at conventions, at their favorite local game stores, and digitally on virtual tabletops. Paizo.com is an online retail hobby destination for millions of gamers that carries the latest products from top hobby game publishers. Players can also find accessories, like dice and maps, miniatures, T-shirts, goblin plush toys, and the newest releases to quickly replenish their adventuring supplies for the next dungeon run. 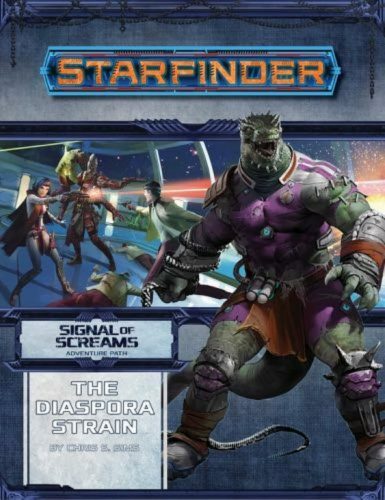 REDMOND, WASHINGTON (November 14, 2018): Today Paizo Inc. released The Diaspora Strain, the first volume in the Signal of Screams Adventure Path for the award-winning Starfinder Roleplaying Game. The 64-page volume, whose adventure was written by Chris S. Sims, is the first of three volumes in a horror-themed campaign to overcome a creeping madness. 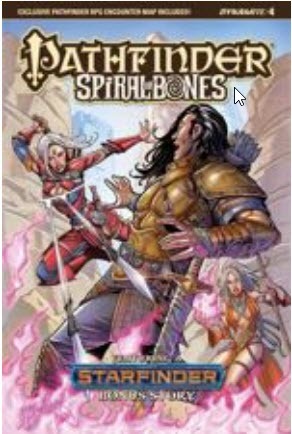 It is available for purchase at paizo.com and retailers worldwide at an MSRP of $22.99 for hardcover and $15.99 for PDF. “Horror relies on turning the normal into the threatening. The expected becomes terrifyingly other. This adventure takes that idea and runs with it, tapping into the id of the Starfinder galaxy while paying homage to other great horror stories, such as Alien,Oculus, Poltergeist, The Shining, and more. Heroes in this adventure will find their senses turned against them. They won’t know what’s real. And that means their reactions to what they sense will also be untrustworthy. They won’t be able to solve a lot of their problems by shooting first, turning even the action-hero norm of Starfinder on its head. Horror also isn’t about winning. Therefore, my hope is that players not only enjoy this disturbing journey, but also reach the conclusion with a sense of relief, grateful to have survived,” said Paizo Developer Chris S. Sims. The Diaspora Strain also includes a new corruption system by Jason Keeley and advice for running horror campaigns in the Starfinder RPG by Epidiah Ravachol, author of the incredibly popular indie RPG Dread. Elysium is a lie. While relaxing on a posh asteroid resort, the heroes are beset by a plague of madness and horrible transformations. After dealing with its unfortunate victims, they learn these tragedies are part of a plot engineered by an insane scientist trapped on the Shadow Plane. This scientist has used funding from an amoral corporation to craft a mysterious signal that will spread pain from world to world. As this corruption begins to infect the heroes, they must stop the transmission at its source to save themselves—and the rest of the galaxy! “The Diaspora Strain,” a Starfinder adventure for 7th-level characters, by Chris S. Sims. Corruptions that grant powerful abilities while eating away at a character’s soul, by Jason Keeley. Advice for running horror campaigns in Starfinder, as well as horror-themed feats, spells, and a new theme, by Epidiah Ravachol. An archive of alien terrors, including an ooze from the far depths of space and a fearsome acid-spitting arthropod, by Stephen Glicker, Chris S. Sims, and James L. Sutter. Statistics and deck plans for a sleek security vessel, by Chris S. Sims, plus a glimpse at a beautiful but haunted planet, by Owen K.C. Stephens. Explore the Starfinder Roleplaying Game at paizo.com/starfinder. Download the huge update to classes for the final chapter of the Pathfinder Playtest! REDMOND, WASHINGTON (November 8, 2018): On Monday Paizo Inc. began “When the Stars Go Dark,” the last part of the Doomsday Dawn adventure in the massive, public, and free Pathfinder Playtest. In Doomsday Dawn’s final chapter, the players explore high-level play in the heroic climax of the Pathfinder Playtest. The playtest runs through the end of the year. “When the Stars Go Dark” takes place in 4718 ar (the present). “Using the White Axiom and the Last Theorem, the heroes from Magnimar must do whatever it takes to stop the Doomsday Dawn,” said Jason Bulmahn, Director of Game Design at Paizo, introducing the scenario. Today also marks the release of the absolutely huge Pathfinder Playtest Update 1.6, which adds or adjusts aspects of every class in the game! These changes range from a small alteration in stances that affects the fighter to major changes for the alchemist and paladin, and are just a fraction of what Paizo is doing behind the scenes to make the game even better. If players haven’t completed their run through the previous parts, they still have until the end of the year to play and tell Paizo what they think. Once they have wrapped up “When the Stars Go Dark,” they should make sure to complete the surveys and give the game designers their feedback on Part 7 of Doomsday Dawn! The free playtest bundle, updates, alternate resonance system, Pathfinder Society playtest scenarios, surveys, and more can all be found at PathfinderPlaytest.com. 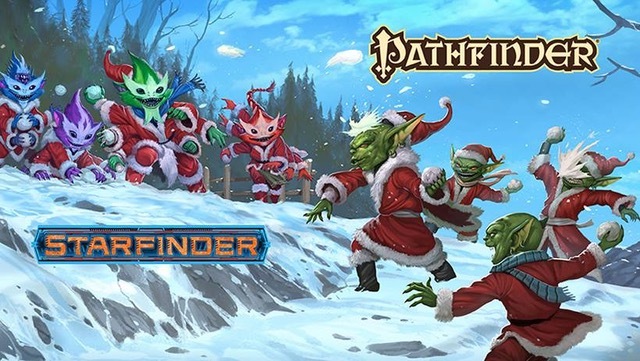 Players can learn more about Pathfinder, participate in forums, read blog posts, and sign up for email updates at paizo.com. 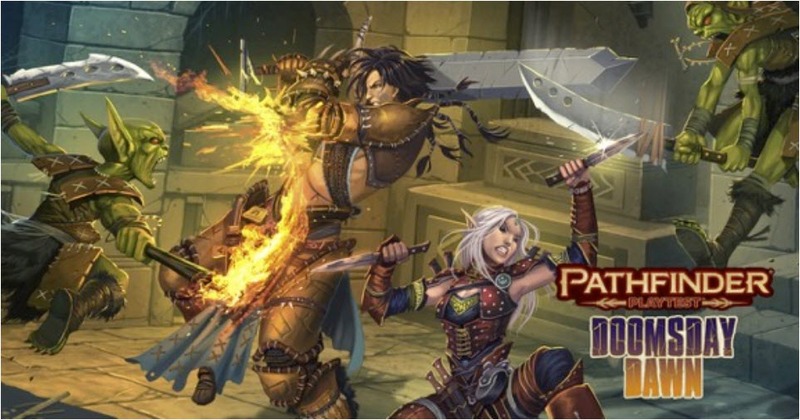 Join the Pathfinder Playtest designers every Friday throughout the playtest on the Paizo Twitch Channel (twitch.tv/officialpaizo) to hear all about the process and chat directly with the team. The channel hosts live play every Thursday from 2–5 p.m. PST and discussions with the design team every Friday at 4 p.m. PST. PRESS RELEASE – Dynamite Launches Kickstarter for First Pathfinder Resin Statue Today! Dynamite Launches Kickstarter for First Pathfinder Resin Statue Today! Kickstarter Promotion Available for Only a Limited Time with Special Pledge Rewards For Supporters! October 23, 2018, Mt. Laurel, NJ – Dynamite Entertainment announces a Kickstarter campaign for the first-ever resin statue for the Pathfinder Roleplaying Game. The publisher continues their strong partnership with gaming leader Paizo Inc. following years of expanding the lore of the game’s world. Backers can preorder their copies of the limited-edition statue and bundle and a range of extras currently available only through the Kickstarter. Seoni, one of the most popular iconic heroes in the Pathfinder universe, was an obvious choice for the statue. The powerful Varisian spellcaster is perfect with her intricate tattoos and patterned clothing. The high-quality resin statue stands approximately 12 inches tall. The tattoos and other details like “dirt” and battle damage are all hand painted. The statue is available in multiple variants. A “Spellcasting” edition portrays Seoni using her signature magic using a plastic energy effect. The “Battle Ready” edition swaps that out for her staff and an alternate pose. The Spellcasting version is available unpainted for the DIY enthusiasts. Supporters can choose among a range of reward tier options, including Dynamite’s well-received comics, from the recent Spiral of Bones series to a complete set of nine graphic novel volumes – over 1,600 pages of Pathfinder content! Another option is the campaign setting book Sandpoint, Light of the Lost Coast signed by author James Jacobs. And of course, t-shirts! Or go big and get all the above! Most exciting is the opportunity for tabletop devotees to collaborate with Dynamite and a professional sculptor to develop and create 10 custom pewter miniatures up to 35 millimeters tall. Lead with skills and spells in this intrigue-themed chapter of the Pathfinder Playtest! REDMOND, WASHINGTON (October 22, 2018): Today Paizo Inc. began the play-through of “Red Flags,” the sixth of seven parts in the Doomsday Dawn adventure, in the massive, public, and free Pathfinder Playtest. In this chapter, players create new 14th-level characters with skill sets that favor infiltration, knowledge, and subtlety rather than aggressive combat prowess. Today also marks the release of Pathfinder Playtest Update 1.5, which modifies spell damage. Throughout the playtest the Paizo design team has listened to players and modified core systems like proficiencies, difficulty classes, death, dying, skills, classes, ancestries, and multiclassing archetypes. Additionally, separate from the main playtest, Paizo has released an alternate version of the item resonance system for testing using the Raiders of Shrieking Peak scenario and an encapsulated set of rules. Learn more from this Paizo blog post: https://paizo.com/community/blog/v5748dyo6sgbn?The-Resonance-Test. 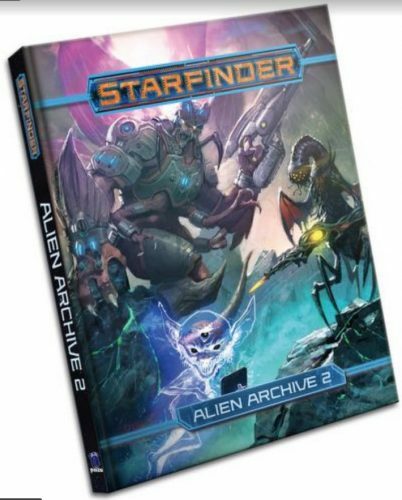 REDMOND, WASHINGTON (October 17, 2018): Paizo Inc. released the Starfinder Alien Archive 2 today, new for the award-winning Starfinder Roleplaying Game. The 160-page hardcover rulebook presents over 100 bizarre life-forms, both classic and new, and has rules options for both Players and Game Masters. It is available for purchase at paizo.com and retailers worldwide at an MSRP $39.99 for hardcover and $9.99 for PDF. The creatures in this codex will challenge adventurers no matter where in the galaxy they may travel. What’s more, player rules for over a dozen species let players not just fight aliens, but be them. Gamers can play everything from an uplifted bear to a sentient slug! The book also includes new alien technology to help give characters an edge, including armor, weapons, magic items, and spells. It adds new Starfinder rules, including magical polymorphing and environmental template grafts that empower players to modify creatures to fit them to any world! Explore the Starfinder Alien Archive 2 at paizo.com/starfinder. The Pathfinder Playtest continues to evolve with an ancestry rules update! REDMOND, WASHINGTON (October 9, 2018): Paizo Inc. turned its attention today to “The Heroes of Undarin,” the fifth of seven scenarios in the Doomsday Dawn adventure in the worldwide, free Pathfinder Playtest. In this chapter, players create new hardy 12th-level characters who are accustomed to facing terrible foes in the Worldwound, a land ruined by demonic powers. “A group of agents is sent deep into the Worldwound to uncover the secrets of the White Axiom. You are sent to protect them,” said Jason Bulmahn, Director of Game Design at Paizo, setting the scene. Throughout the playtest the Paizo design team has listened to players and made changes to the game, including modifications to core systems like proficiencies, difficulty classes, death, dying, skills, classes, and multiclassing archtypes. 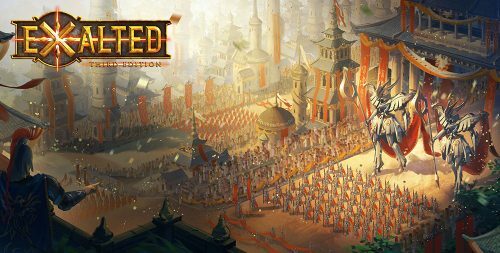 Today marks the release of Update 1.4, which delivers an overhaul of the ancestries. Starting with this update, when players make a character, they select not only an ancestry but also a heritage from within that ancestry. The heritage gives them additional physical characteristics based on their lineage, and choice of heritage is in addition to the ancestry feat that they gain at 1st level. In addition to surveys on Chapters 1 through 5 of Doomsday Dawn, there are now surveys up for Ancestries, Classes, Monsters, Hazards and the Rules as a whole. The playtest bundle, updates, and surveys are all free to download at PathfinderPlaytest.com. Players can learn more, participate in forums, read blog posts and sign up for email updates on paizo.com. The Paizo Twitch channel (twitch.tv/officialpaizo) hosts live play every Thursday from 2-5 PM Pacific and discussions with the design team every Friday at 4 PM Pacific. PRESS RELEASE – Pathfinder: Kingmaker Releases Today! The Wait Is Over – The Time For Adventure Is At Hand! The Wait Is Over – The Time For Adventure Is At Hand! Planegg, September 25, 2018: Owlcat Games and Deep Silver proudly announce that the critically acclaimed and highly anticipated cRPG Pathfinder: Kingmaker releases today for both PC and Mac. Players can download digital versions at Steam and GOG. It’s also available in select retail outlets. Players will be able to adventure through the Stolen Lands, exploring the vast world of the Pathfinder® Roleplaying Game universe. From humble beginnings, characters will face fearsome beasts, meet lifelong companions, and build their own kingdoms as a deep and engaging story unfolds around them. Pathfinder: Kingmaker takes players on a tour through the infamous Stolen Lands, the dangerous and turbulent territories well known within Pathfinder fandom. 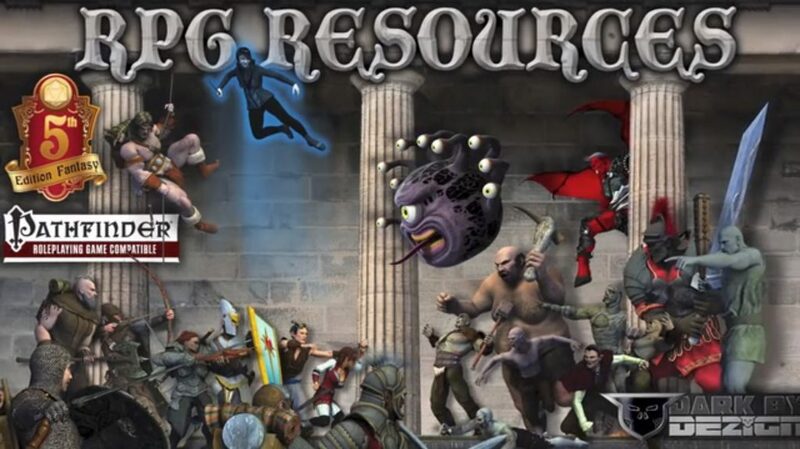 The computer RPG revisits familiar characters and well-known locations of the series’ lore as well as treat players to brand new adventures, deadly foes, and unforeseen twists and turns. Fans of the fantasy pen-and-paper RPG will experience its epic, heroic universe in new ways while computer RPG gamers will discover their favorite genre in a more contemporary light, in stunning 3D graphics that bring the universe to life. Pathfinder: Kingmaker will challenge players as both adventurers and rulers as they claim explored lands and carve their own kingdom from the wilderness. Kingdom founding goes beyond simple stronghold-building to become a true reflection of the hero’s character and choices made throughout the game. Each kingdom is a living thing shaped by alignment, choices, allies, and the hero’s ability to lead his or her people. Paizo Inc. is one of the world’s leading hobby game publishers. Since 2002, millions of players have joined the goblin army by playing the Pathfinder® and Starfinder® roleplaying games across tabletops, at conventions, at their favourite local game store, and digitally on virtual tabletops. Paizo.com is an online retail hobby destination for millions of gamers that carries the latest products from top hobby game publishers. Players also find accessories, like dice and maps, miniatures, T-shirts, goblin plush toys, and the newest releases to quickly replenish those adventuring supplies for the next dungeon run. Koch Media is a leading producer and distributor of digital entertainment products (software, games and films). The company’s own publishing activities, marketing and distribution extend throughout Europe and the USA. The Koch Media group has more than 20 years of experience in the digital media business, and has risen to become the number one distributor in Europe. It has also formed strategic alliances with numerous games and software publishers: Bethesda, Capcom, Kaspersky Labs, NC SOFT, Sega, Square Enix and Tecmo-Koei, etc. in various European countries. With Headquarters in Planegg near Munich/Germany, Koch Media owns branches in Germany, England, France, Austria, Switzerland, Italy, Spain, the Nordic regions, Benelux and the United States. Paizo publishes the daring second volume of the Against the Aeon Throne Adventure Path. 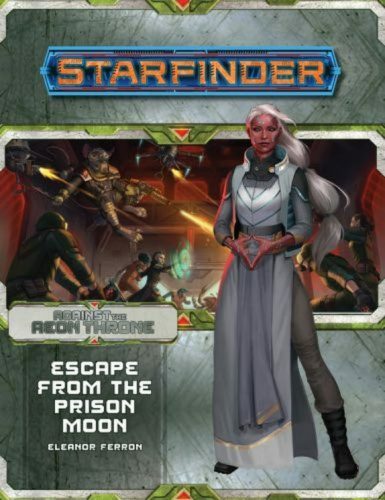 REDMOND, WASHINGTON (September 19, 2018): Paizo released “Escape from the Prison Moon,” a Starfinder science-fantasy adventure for 3rd-level characters, by Eleanor Ferron today. It is the second volume of the Against the Aeon Throne Adventure Path for the award-winning tabletop roleplaying game. 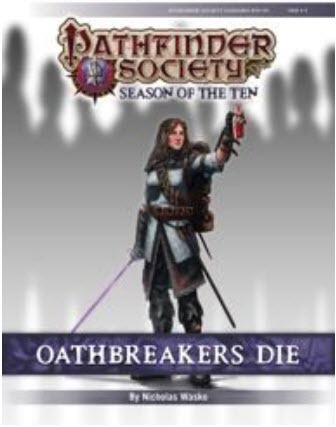 It is available for $22.99 at paizo.com and local game stores on planet Earth. Statistics and deck plans for an Azlanti prison-guard vessel, plus a glimpse of a space station on the fringes of Azlanti Star Empire space, by Eleanor Ferron. The Against the Aeon Throne Adventure Path began last month with “The Reach of Empire” and will continue in October with “The Rune Drive Gambit.” Watch the Against the Aeon Throne launch video at https://youtu.be/Etlk7qIT0fM. Find out more at paizo.com. Find what you’re looking for at PFRD.Info and SFRD.Info. As an official licensed partner, the Archives of Nethys will be able to incorporate Paizo’s product identity for Pathfinder and Starfinder, allowing gamers to find all of the Golarion- and Pact Worlds-specific rules they’re looking for efficiently. As Paizo moves toward the launch of Pathfinder Second Edition, the Archives of Nethys will also serve as the home for those rules. 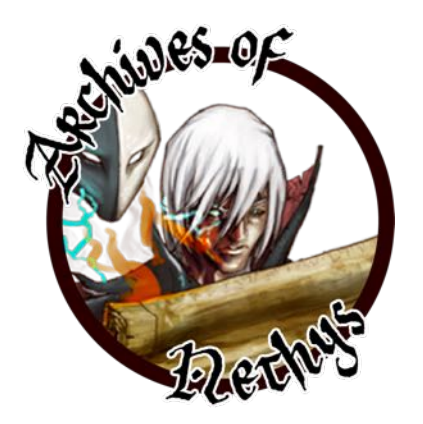 The Archives of Nethys remains a free rules resource to players, but they can join its Patreon and support its future growth by visiting its Support page at http://aonprd.com/Support.aspx. and then give feedback at PathfinderPlaytest.com. REDMOND, WASHINGTON (September 10, 2018): Today, “Affair at Sombrefell Hall” the third of seven scenarios in the Doomsday Dawn adventure officially began at Paizo Inc. The relentless adventure for four 7th-level characters was written by acclaimed Paizo Developer, Amanda Hamon Kunz. It runs on real and virtual tabletops through September 23 as part of the worldwide, free playtest of the Pathfinder Second Edition. The playtest is available as a free PDF bundle. Changes to the playtest have already been made! Rules Update 1.2 and a new character sheet have just been added. Player, Game Master, and Open Surveys unlock as each new part begins. They will remain open throughout the playtest period. The PDFs and surveys are all available at PathfinderPlaytest.com. The Paizo Twitch channel (twitch.tv/officialpaizo) hosts live play every Thursday from 2-5 PM Pacific and discussions with the design team every Friday at 4 PM Pacific. Paizo also discusses the surveys and resulting game changes on its blogs. 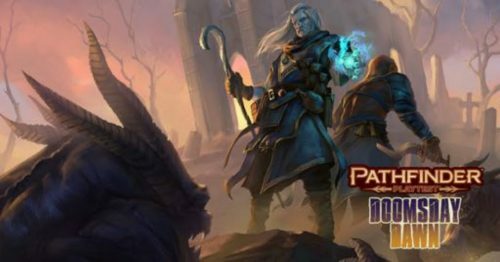 Players and Game Masters can participate in the Pathfinder Playtest Forums and sign up for email updates on paizo.com. 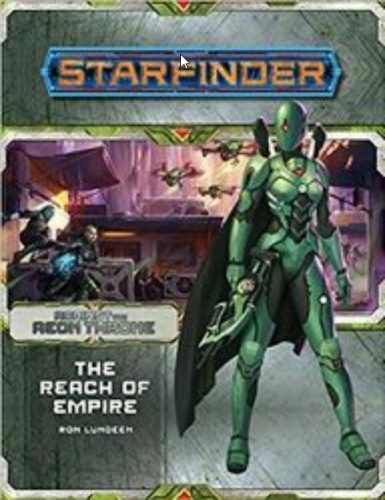 REDMOND, WASHINGTON (September 5, 2018): Today Paizo launched “The Reach of Empire,” a Starfinder Roleplaying Game adventure for four 1st-level characters. The adventure begins the Against the Aeon Throne Adventure Path, a 3-part, monthly campaign in which players visit and explore some of the worlds of the sinister Azlanti Star Empire. It also includes a gazetteer of the Pact Worlds colony of Nakondis, a collection of new starships and starship options used by the Imperial Fleet of the Azlanti Star Empire, and a selection of new monsters from alien worlds. 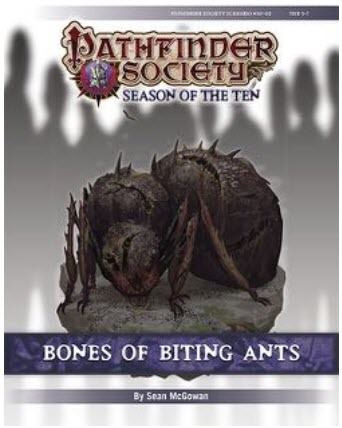 It is available for $22.99 at paizo.com and retailers around planet Earth. Each monthly full-color softcover Starfinder Adventure Path volume contains a new installment of a series of interconnected science-fantasy quests that together create a fully developed plot of sweeping scale and epic challenges. Each 64-page volume of the Starfinder Adventure Path also contains in-depth articles that detail and expand the Starfinder campaign setting and provide new rules, a host of exciting new monsters and alien races, a new planet to explore and starship to pilot, and more! The Against the Aeon Throne Adventure Path will continue in September and November with “Escape from the Prison Moon” and “The Rune Drive Gambit.” Find out more at paizo.com. Enjoy the last days of summer with Spiral of Bones comics and Organized Play adventures! REDMOND, WASHINGTON (September 4, 2018): Paizo has partnered with Dynamite Entertainment and the Organized Play Foundation to keep the summer fun going with a new Spiral of Bones comic and five new Society Scenarios for the Pathfinder Society Roleplaying Guild and Starfinder Society Roleplaying Guild. These products are available for purchase at game retailers and paizo.com now and many of them can be easily adapted to any fantasy world. Trapped in a three-sided struggle between his fellow Pathfinders, an ancient wizard, and the agents of death itself, Valeros struggles to understand what his life has become and retain control of his own living body! The Spire of Bones story continues in this tale written by former Pathfinder developer Crystal Frasier with art by Tom Garcia (Mercy Thompson, Pathfinder: Hollow Mountain). It also contains an ongoing Starfinder bonus story, a Pathfinder RPG rules appendix, and a bonus pull-out poster map! Bonus: Starfinder story by Paizo Chief Creative Officer Erik Mona! Thousands of years in Pathfinder’s future, the Starfinder Society spreads adventure across the solar system. This Pathfinder Society Scenario designed for levels 1-5 was written by Nicholas Wasko. The city of Daggermark is best known for its poisoners and assassins, who maintain active guilds that enjoy the full respect of local authorities. Local venture-captain Istivil Bosk prefers to keep his head down and stays out of their affairs, but he has recently learned that a Pathfinder agent has been targeted for assassination. Can the PCs enact the venture-captain’s daring plot to save this agent without becoming the assassins’ next victims? This Pathfinder Society Scenario designed for levels 3-7 was written by Sean McGowan. The sole survivor of an ill-fated Society expedition into the Mwangi expanse barely managed to return home years ago, bringing little to show but an unpleasant affliction and haunting memories, neither of which they could shake. While the agent had planned to retire from the Society for good, they now seek assistance in finding closure, seeking a cure, and recovering the relics the team had to abandon. What sounds at first like a simple recovery mission becomes far more complicated, for the same threats that spelled disaster for the first mission are as dangerous today. This Pathfinder Society Scenario designed for levels 5-9 was written by Scott Young. A message delivered by an unlikely courier sends the PCs to the Crown of the World. After making a dangerous trek across the icy passes and bays of Golarion’s northernmost continent, the PCs must come to the aid of a Pathfinder Society expedition whose archaeological excavations have uncovered far more than they expected to find. 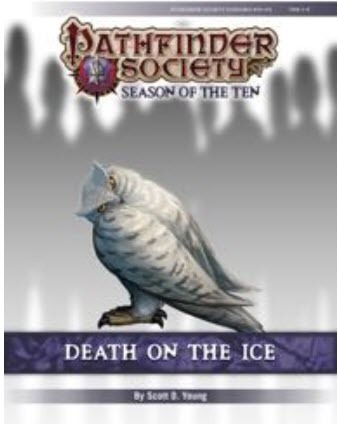 Can the PCs unravel the mysteries that lie beneath the gelid glaciers of the Crown of the World in time to save their fellow Pathfinders from a frigid fate? 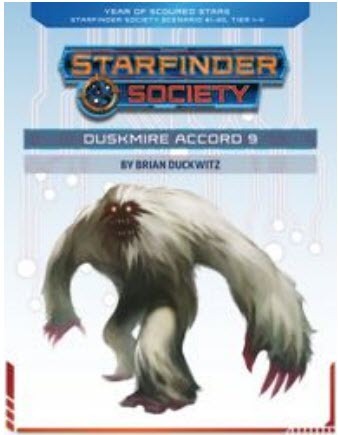 This Starfinder Society Scenario designed for levels 1–4 was written by Brian Duckwitz. A vault opens inside the mysterious false moon of Salvation’s End, and the Starfinder Society sends in a team of agents to investigate. Although it has discerned little about the vault”s interior, the Society has identified a powerful energy signature near the vault’s center. Several factions within the vault clash for control of the area. If the PCs are to succeed at their mission, they’ll need to choose a side. 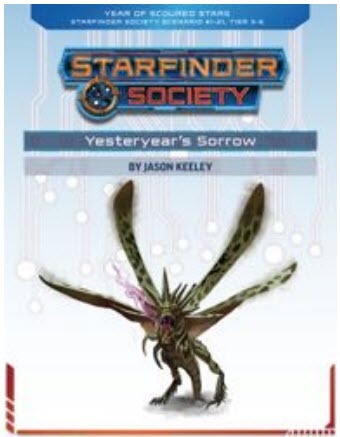 This Starfinder Society Scenario designed for levels 3–6 was written by Jason Keeley. The Exo-Guardians’ leader, Zigvigix, has been forced by recent events to reevaluate the Society’s arsenal of weapons. They order a new exploration mission to the irradiated nuclear wasteland world of Elytrio, homeworld of the beetle-like ghibrani species. Far from the homes of the surviving ghibranis, the PCs travel into a missile silo that contributed to the death of a world. What deadly weapons can the PCs find and what further concealed truths are there to uncover about the history of the ghibranis? Content in Yesteryear’s Sorrow is a continuation of the Starfinder Society scenario, Starfinder Society: Yesteryear’s Truth, however, playing this previous scenario is not required. All of the RPG news fit to peruse. Or at least some of it. In bite form, we’ll touch on Savage Worlds’ new edition and upcoming Kickstarter, who (RPG-wise) will be at Dragon*Con 2018, what Starfinder is looking for, another stock art site, ICv2’s recent GAMA coverage, and all the press releases fit to be released. The new edition of Savage World. Pinnacle Entertainment will launch their “brand new edition” of Savage Worlds on Tuesday, October 16th. 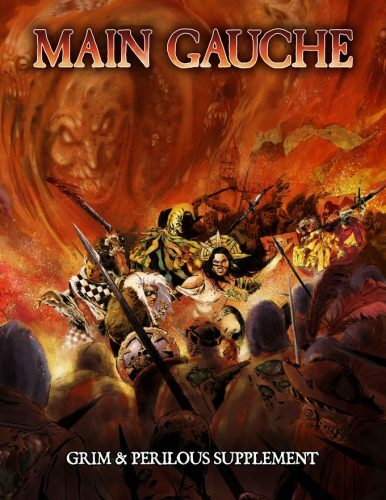 The revised version of Savage Worlds will contain aspects seen in the Savage Worlds: Flash Gordon RPG that John McGuire and I played at Gen Con (read John’s review of it here). You can read the announcement here. 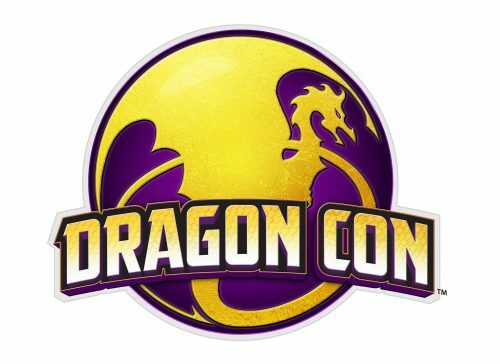 Attending Dragon*Con in Atlanta this Labor Day Weekend? Have you read John McGuire’s Dragon*Con Hacks? You’ll want to so you can be ready for the gaming heavy hitters hosting a variety of panels that will be there this year. Christopher Tang of DriveThruRPG and the Code Miners’ LARP will be in the open gaming area representing their LARP. Event descriptions here. Interested in playing in Dragon*Con’s non-campaign RPGs? Click here. Want play in campaign RPGs? Click here. 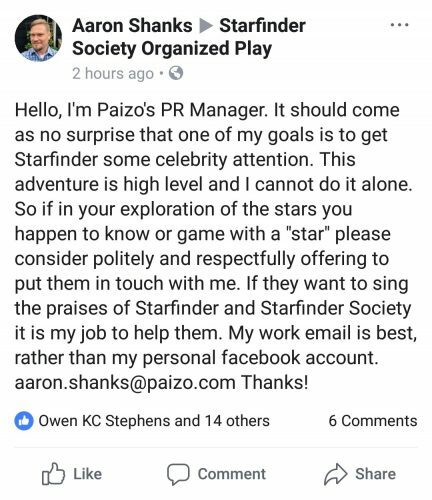 Aaron Shanks, Paizo’s PR Manager, is looking for celebrities that play Starfinder. At a guess, they’re hoping for some of the same celebrity love that D&D has seen lately. Looking for another place to purchase RPG stock art? Looking for an option to sale your stock art? RPG stock artist, JE Shields, opened a new stock art website – JEStockArt.com. With two RPG-focused stock art sites that I’m aware of, this is the start of an interesting trend within the past month (the other being RPGStockArt which I covered here). The driving force behind this move appears to be the desire to reduce the commissions charged by other sites by 10% to 15% (bringing the amount the creator receives to 80%). Status: Stock Art marketplaces of the world! Exalted coming soon to the Storytellers Vault! GAMA (Game Manufacturer’s Association), the group that runs the GAMA Trade Show and Origins Game Fair, is the subject of a series of articles on ICv2.com about the recent goings on within the organization. Just before Gen Con, GAMA welcomed Anne-Marie De Witt, co-founder of Fireside Games, as their new Vice President, as well as other members. 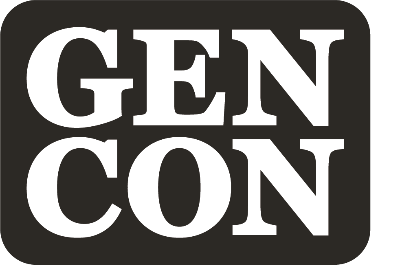 At Gen Con, Iello COO and GAMA President Stephan Brissaud was asked to leave Gen Con after getting into an altercation with a security guard at the convention center. Stephan issuing an apology. Iello COO and GAMA President Stephan Brissaud released a full statement about the Gen Con incident. The GAMA Board of Directors issued their own statement about the incident. Their view is that Stephan was there acting in his capacity as Iello COO. WARNING: Images of bruising in the link. A police report was filed about the Gen Con incident. The article includes images of bruising and an image of the report. Beyond the Gen Con incident, former GAMA Deputy Director Angela Ward has retained counsel after the Board voted to terminate her employment. The GAMA Board of Directors also decided to not renew Executive Director John Ward’s contract when it expires in February. Ward has been Executive Director for a decade. Speaking of GAMA, my discussion of my three most important moments at Origins Game Fair 2018 is available to read on ENWorld here. I’m excited to go again in 2019. 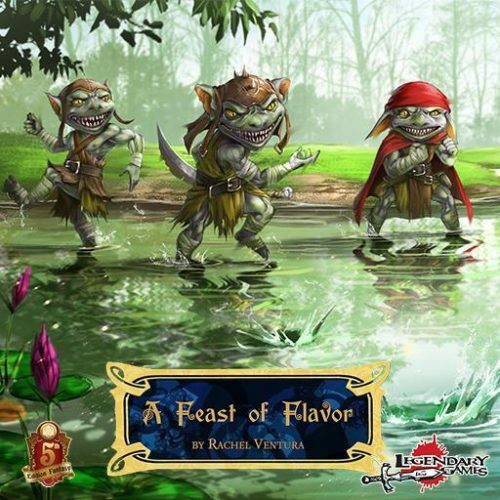 Also on ENWorld, I reviewed Legendary Games’ ENnie Award nominated game, Legendary Beginnings: A Feast of Flavor by Rachel Ventura here. On RPGStockArt.com, I shared an interview with Matthew A. Bogdan about the Kickstarter that he’s running (and that I’ll be writing for), CREATE YOUR OWN FANTASY RPG ADVENTURE – RPG RESOURCES BOOKS. Read the interview here. Prepare for the Apocalypse this Fall – New Zone Compendiums & Mutant: Year Zero Sale Launched! Bloat Games’ SURVIVE THIS!! Zombies! 2nd Edition – Core Rule Book Available Now! Players can make one of the world’s best fantasy RPGs even better by making new characters, playing the scenario, and providing feedback at PathfinderPlaytest.com. REDMOND, WASHINGTON (August 28, 2018): “In Pale Mountain’s Shadow,” the second of seven scenarios in the Doomsday Dawn adventure, officially began today. It runs through September 9 as part of Paizo’s multi-month, worldwide, free playtest of the Pathfinder Second Edition. Doomsday Dawn takes heroes on a decade-long journey throughout the world of Golarion as they attempt to understand and defeat an otherworldly menace and avoid utter catastrophe. The collection of seven multi-encounter scenarios is designed to introduce the Pathfinder Playtest rules in a guided, shared playtest experience coinciding with regular surveys to provide focused feedback from players. Doomsday Dawn is designed to test the newest edition of the Pathfinder Roleplaying Game, focusing on combat encounters, exploration, hazards, and problem-solving. The goals are to create a fundamental understanding of the game and to test if the revisions to the rules still allow for the same types of storytelling and adventure roleplaying that everyone has come to expect from Pathfinder. Paizo will be discussing the results of the surveys and changes they are implementing based on player feedback. On the Paizo Twitch channel (twitch.tv/officialpaizo) there will be live play every Thursday from 2-5 PM Pacific and playtest feedback discussions with the design team every Friday at 4 PM Pacific. Players and Game Masters can also share their opinions on the Pathfinder Playtest Forums, get errata, and sign up for email updates on paizo.com. It is not too late to join the playtest from the start. The surveys will remain open throughout the playtest period. 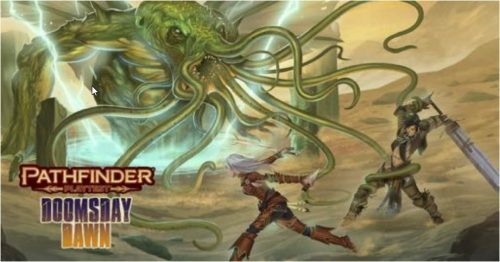 The free PDF bundle download of the Pathfinder Playtest Rulebook, Pathfinder Playtest Bestiary, Pathfinder Playtest Adventure: Doomsday Dawn, and Flip-Mat Multi-Pack is available now on PathfinderPlaytest.com. Download available for free on paizo.com! 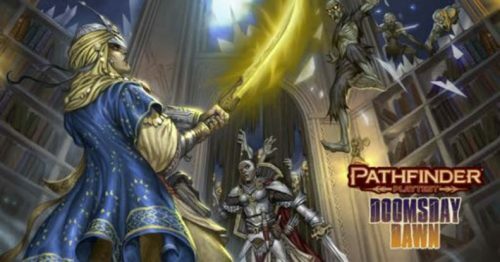 REDMOND, WASHINGTON (August 2, 2018): Today, Paizo Inc. launched the worldwide playtest of Pathfinder Second Edition, an evolution of one of the world’s most popular tabletop roleplaying games. The free PDF bundle download of the Pathfinder Playtest Rulebook, Pathfinder Playtest Bestiary, Pathfinder Playtest Adventure: Doomsday Dawn, and Flip-Mat Multi-Pack is available now on paizo.com. “Overall feedback from the playtest reveals on the Paizo blog and through industry partners has been positive. We’ve made the rules more fun, easier to learn, and better for telling our favorite fantasy stories. Now, we need all your feedback to make Pathfinder Second Edition the best it can be,” said Erik Mona, Paizo’s Publisher and Chief Creative Officer. Preordered print editions of the Pathfinder Playtest Rulebook, Pathfinder Playtest Adventure: Doomsday Dawn, and Pathfinder Playtest Flip-Mat Multi-Pack have been shipped to players and are available for preorder pick up at Paizo’s booth at Gen Con in Indianapolis, Indiana, August 2–5. Softcover, hardcover, and deluxe special editions are available for purchase in the Paizo booth at Gen Con and at game and bookstores worldwide. Paizo will not reprint the playtest rulebook or adventure, so players who want print editions should act quickly. Playtest 1: The Lost Star begins Tuesday, August 7 and runs through August 26, kicking off the massive multi-month free playtest. Players are invited to visit PathfinderPlaytest.com to give feedback via online surveys for each of the 7 Doomsday Dawn adventure playtests and share opinions with others in the Pathfinder Playtest Forums on paizo.com. Paizo will be discussing the results of the Playtest surveys and changes they are implementing based on player feedback both on Paizo.com and on the Paizo Twitch channel (twitch.tv/officialpaizo). Players stay informed by signing up for email updates at paizo.com. The worldwide Pathfinder Society organized play program has four more opportunities to playtest. Pathfinder Society Playtest #1: The Rose Street Revenge (August 7), Pathfinder Society Playtest #2: Raiders of Shrieking Peak (August 7), Pathfinder Society Playtest #3: Arclord’s Envy (August 7), and Pathfinder Society Playtest #4: The Frozen Oath (September 26) will all be available as free downloads. Many Paizo official licensed partners are supporting the playtest. Players can immerse themselves in epic sounds with the Doomsday Dawn audio experience from Syrinscape. They can play with friends all over the world on Fantasy Grounds and Roll20 virtual tabletops. Players can also build their perfect character using Hero Lab. They can roll dice designed by Q Workshop to aesthetically compliment the Pathfinder Playtest Rulebook. Players can celebrate their participation with the deluxe enamel collector pin by Campaign Coins. Links to all of this content are waiting for players on PathfinderPlaytest.com.